The Christmas shopping season is ushered in with the biggest sale day of the year – Black Friday, the day after Thanksgiving, famous for massive store traffic, is a consumer holiday that celebrates incredible sales. With the proliferation of social media, the opportunities to promote sales and shopping are both increased. A business is able to promote its offerings in a big way and shoppers are alerted to where the best deals are. 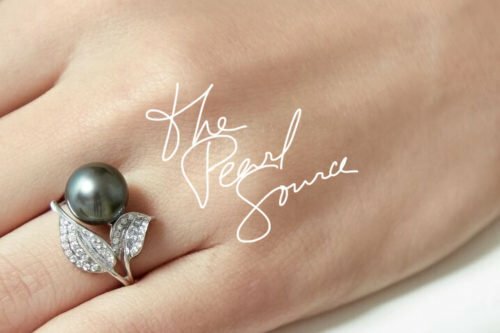 Choosing the perfect gift each year for a loved one can be quite a task, But one area you can be sure of getting a deal in this Black Friday is in pearl jewelry. Pearls are a timeless gift that would make any woman feel loved this holiday season. Subscribe to promotional online campaigns: Most jewelry stores online begin their advertising well in advance. Look for such campaigns on the websites of the stores that you prefer and subscribe yourself to their mailing list. Besides the offers that come online, you may even be eligible for additional discounts for being a subscriber. Follow social media: Most companies today use social media sites to promote themselves. Get onto the pages of these sites to stay abreast of flash sales and added discounts. Let the site keep track for you: Most e-commerce sites offer customers a chance to go through online catalogues and mark what they would like to buy. You could mark jewelry pieces that you may be interested in or would like to add to your wishlist. You would be informed when offers come up on these pieces. Make good use of your mobile device: In an era of smart phones, a whole new avenue has opened up for marketing. Subscribing to be on the list of shoppers intimated on the phone will give you almost immediate information about when a sale is about to begin. Look for offers in your location: Many chain stores have offers specific to locations. A little research can help you find a store near you with the best sales. If you are looking to buy pearls this festive season, here is a look at the various kinds you can choose from. The Akoya is the most classic of Japanese pearls. It is often used in the making of pearl strands and earrings. It is smoother and more lustrous compared to freshwater pearls. There is also the Tahitian Pearl, which is known as the Queen of Pearls. Available in mesmerising hues of silver, dark grey, green and blue makes it ideal to set in precious metals. Freshwater pearls, Golden pearls, Hanadama and South Sea pearls – each have their own characteristics and combine well with various settings to give you something completely unique. A little research will keep you aware of the latest sales and help you enhance yours or a loved ones jewelry collection this year.